Statistics show that 1 in 10 people who enter a therapy office or clinic have an addictive disorder, yet only about 10% receive treatment. While addiction is often referred to as a “family disease,” current approaches in recovery typically do not provide treatment approaches that address or account for the relationship between the person with an addiction and their partner. 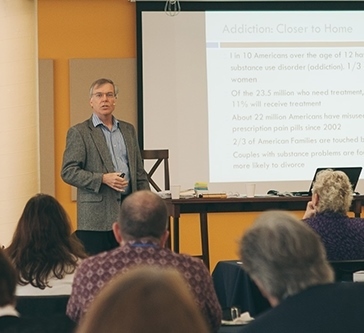 To help move our clients from addiction to recovery, professionals need to know how to assess and treat addictive disorders, and to feel comfortable using tools and strategies to help couples address addiction and support recovery. Outcome research informs us that couples counseling is more effective than individual therapy in identifying addiction and in moving the person with the addiction and family into recovery. This training provides interventions and tools for a relational approach to healing that addresses three different but overlapping recoveries to include: the person with the addictive disorder, the partner, and their relationship. The training is presented by Dr. Bob Navarra, Master Certified Gottman Trainer. It includes lecture, live and video demonstrations, role-plays, and discussion. 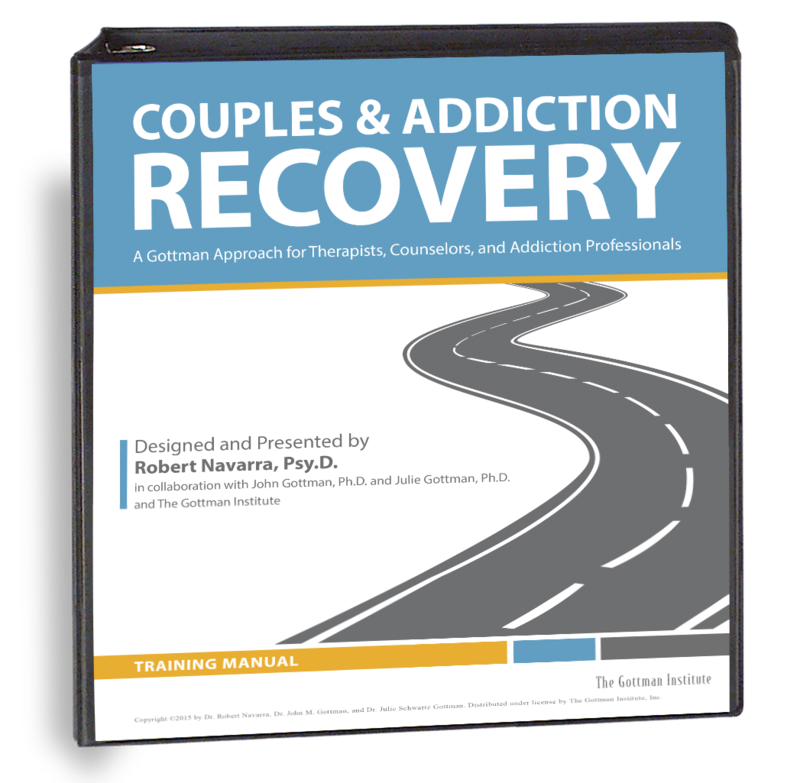 The tools and interventions taught in this workshop are adapted from Gottman Method Couples Therapy to help develop a Couple Recovery plan through increasing communication and understanding, establishing appropriate boundaries, and healing from the impact of addiction and recovery. Participants will be provided with tools to use immediately in their offices or clinics to work more effectively with individual couples and/or with small groups of couples. This workshop is for mental health therapists, counselors, social workers, clergy, military family life chaplains, life coaches, recovery coaches, professors, students, and professionals who work with couples affected by alcohol, drugs and/or behavioral addictions. Therapists and professionals who work with couples and would like additional training in addiction disorders and addiction and recovery work. Addiction counselors or professionals that would like to learn how to effectively work with couples. 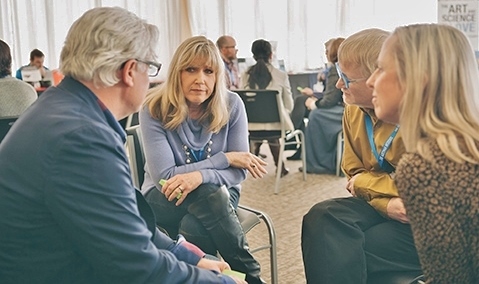 Executive directors or clinical directors of treatment programs or facilities that are interested in developing or integrating couple recovery into your services and applying a “Couples Recovery” component to treatment programs. No prior experience or training in Gottman Method Couples Therapy is required; however, therapists who work with couples will greatly benefit from having at least completed Level 1 Gottman Method Couples Therapy. Each participant will receive materials designed to help therapists and counselors effectively facilitate assessments, interventions, and exercises with their couples that can be used immediately following the workshop. All addiction assessments and exercises may be photocopied as handouts for couples. 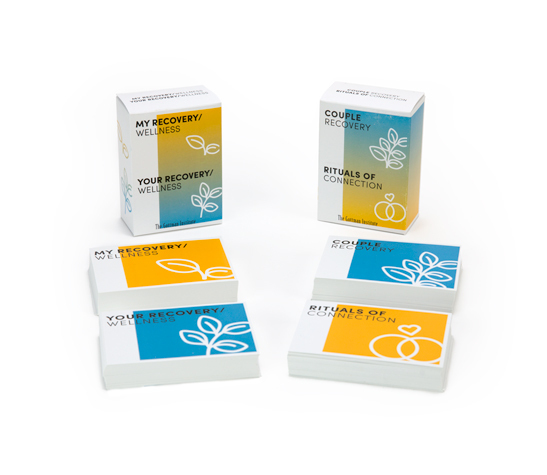 Recovery Card Deck Set: My Recovery, Your Recovery, Our Recovery, and Developing Rituals of Connection. These new interactive cards are integrated into interventions specifically designed for couples in recovery.